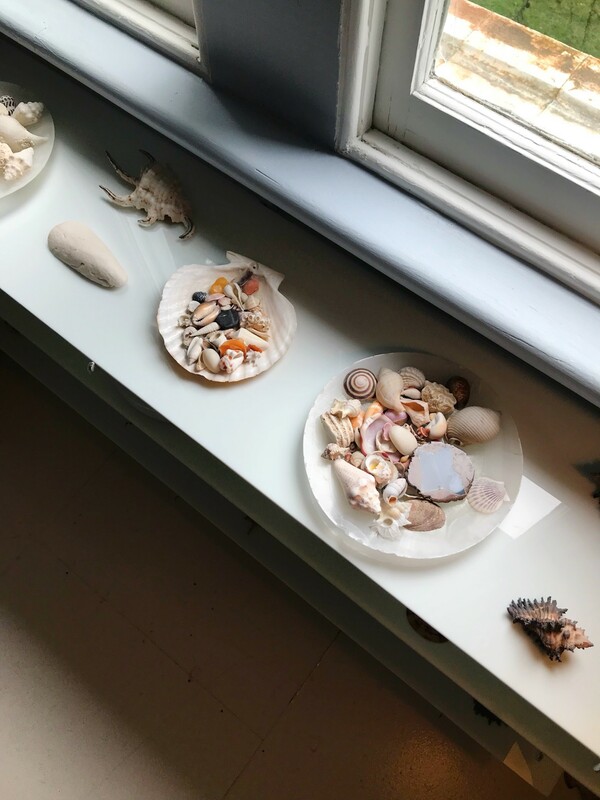 Last week, Artsy posted a piece with my tips for creating a more joyful artist’s studio. 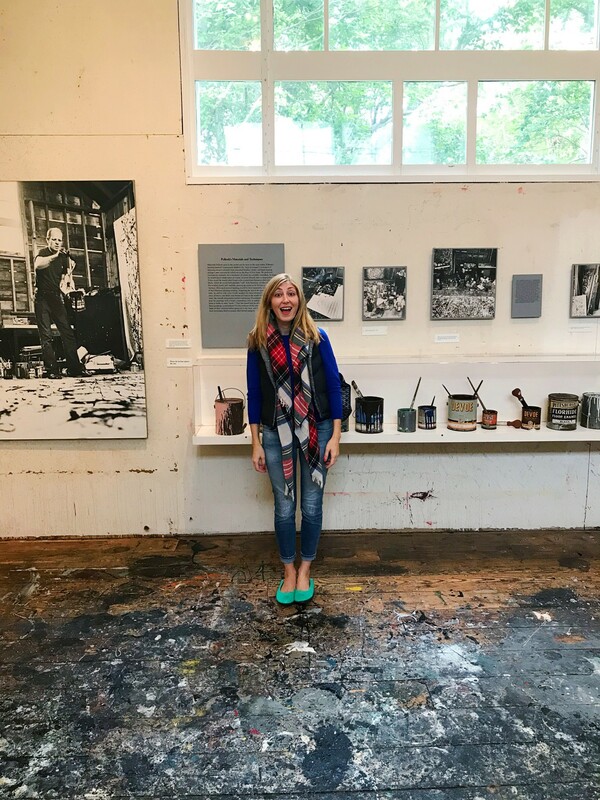 I find so much joy in artists’ studios! Artists are naturally sensitive to aesthetics, and often incorporate color and abundance into their surroundings intuitively, so it’s rare that I leave a studio without feeling energized and inspired. 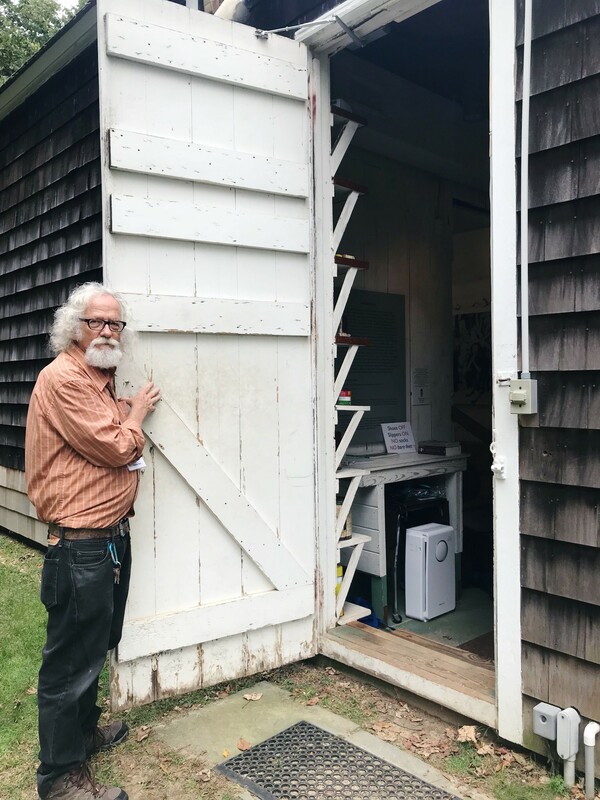 I love to take field trips to studios when I can, and this weekend I had the joy of visiting the studio of two legendary artists, one that happens to be not far from my house. 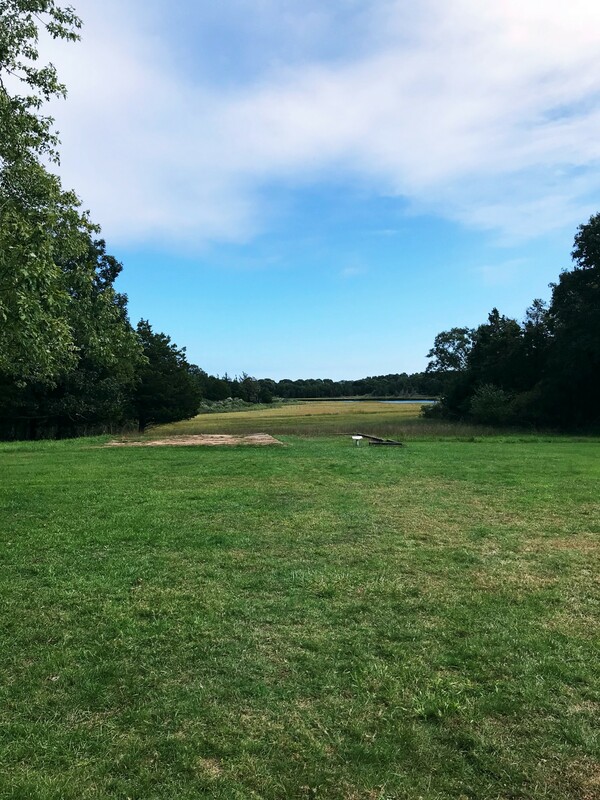 In 1945, the artists Jackson Pollock and Lee Krasner came out to stay with friends in Springs, NY, then a 300-person community of mostly farmers and fishermen just north of East Hampton on Long Island. A year later they moved out of the city to an unheated, poorly insulated house with no hot water on Accabonac Creek, just across from where they had stayed the year before. They bought the place with a loan from Peggy Guggenheim, and paid it off with the proceeds from Jackson’s paintings. The two were used to the comforts of city life, and that first winter was apparently quite rough. But they also found in those first years that Jackson’s drinking had eased off, and he was more productive in the country. They hauled the barn away from its original site, opening up the view of the water, and that became Jackson’s studio. 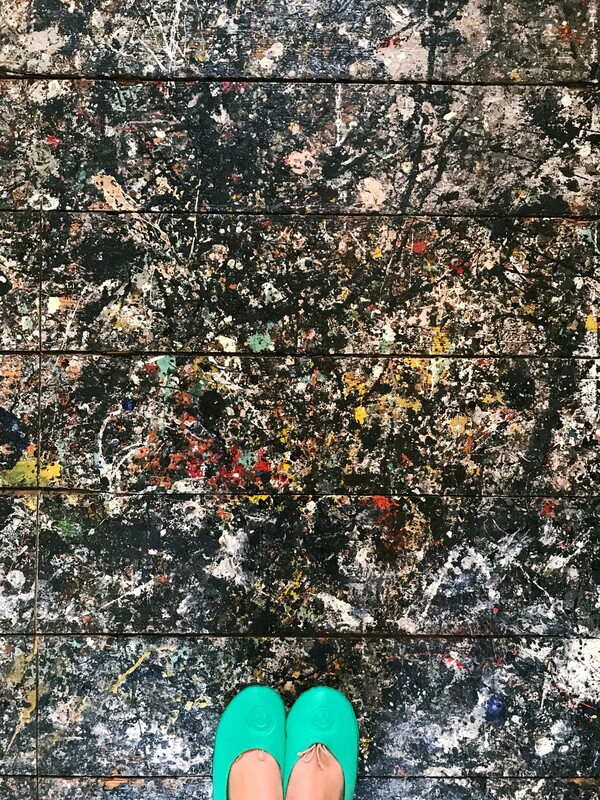 It was here that he laid canvases on the floor and dripped paint over them to make his signature swirls and splotches. When you visit the house, they give you these little protective slippers to put over your shoes and you can actually walk over the splatters on the floor. 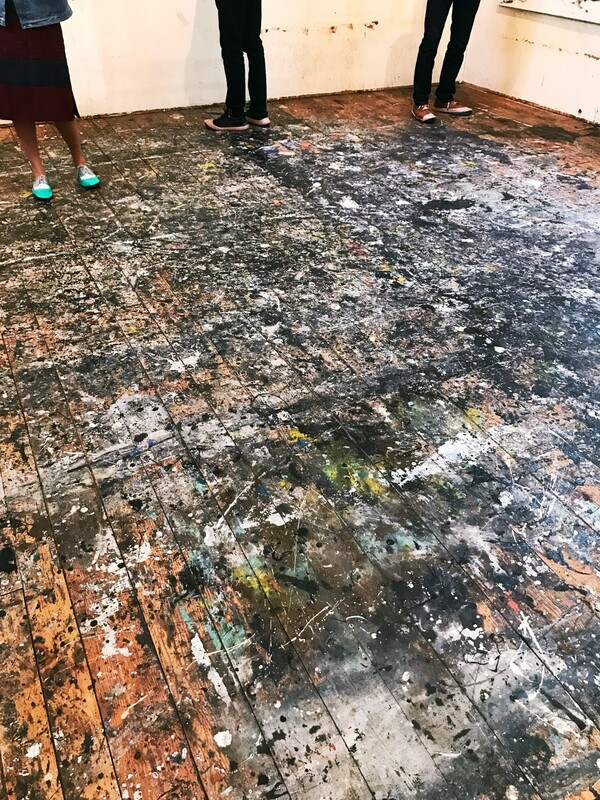 Pollock was known to use floor paint on his canvases, which may be one reason why the floors remain in such good condition today. In Pollock’s work we see energy, both from the colorful ripples of paint and the energetic movements that created them. 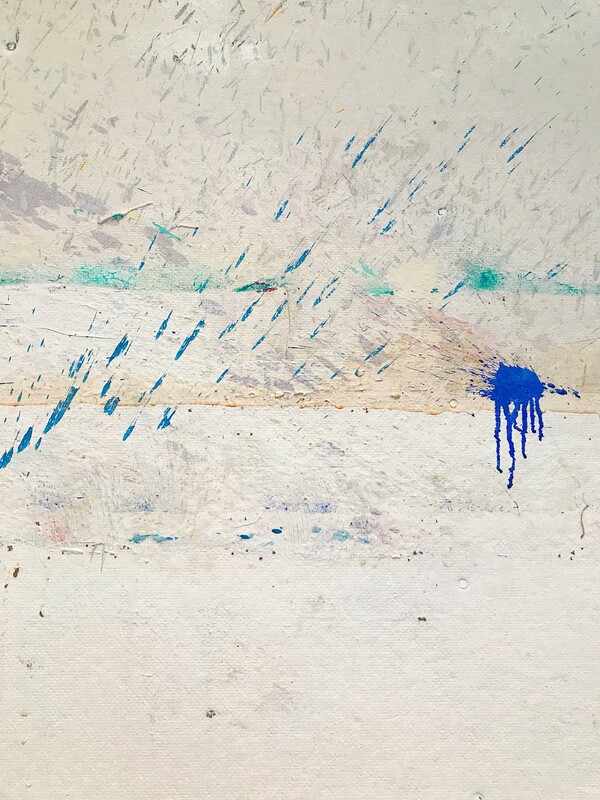 And we can find abundance, the layering of paint, the sense of multiplicity and repetition. 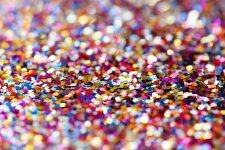 I often use confetti and polka dots as examples of abundance, but abundance can also look like this, more fervid and less controlled. There’s another aesthetic here too: harmony. Years ago while visiting the Tate Modern I learned that researchers had detected fractal patterns within Pollock’s paintings. Fractals are a kind of pattern where an element repeats at different scales — think of the branching of a tree or the crenellations of a coastline. These fractal patterns create a kind of hidden harmony, a pattern that creates a sense of order in a complex scene that otherwise might look chaotic. Studies suggest that looking at moderately complex fractals can even induce a feeling of wakeful relaxation similar to the feeling of listening to music. And these moderately complex fractals happen to be common in nature. 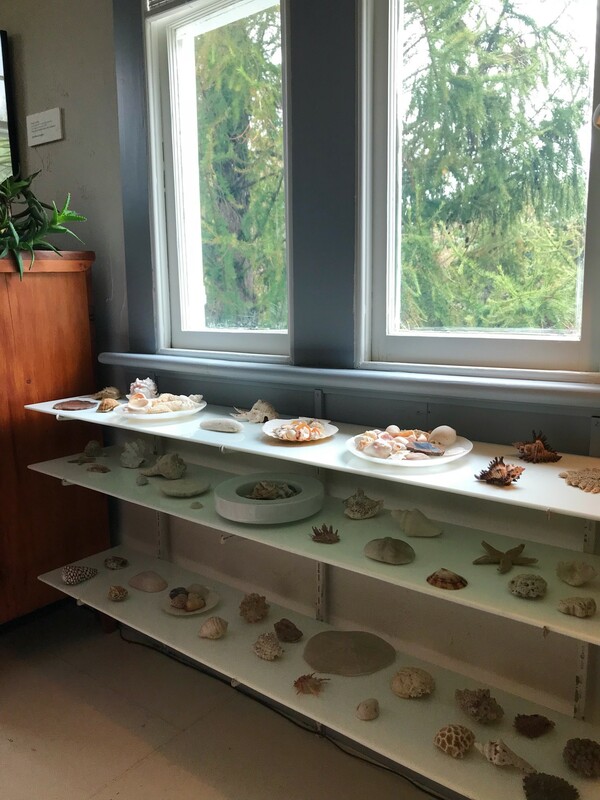 Whether Pollock was directly influenced by nature is unclear, but in addition to the tall trees surrounding the property and the long grasses that frill the creek, there were many trays of shells and other beach findings in their bedroom. 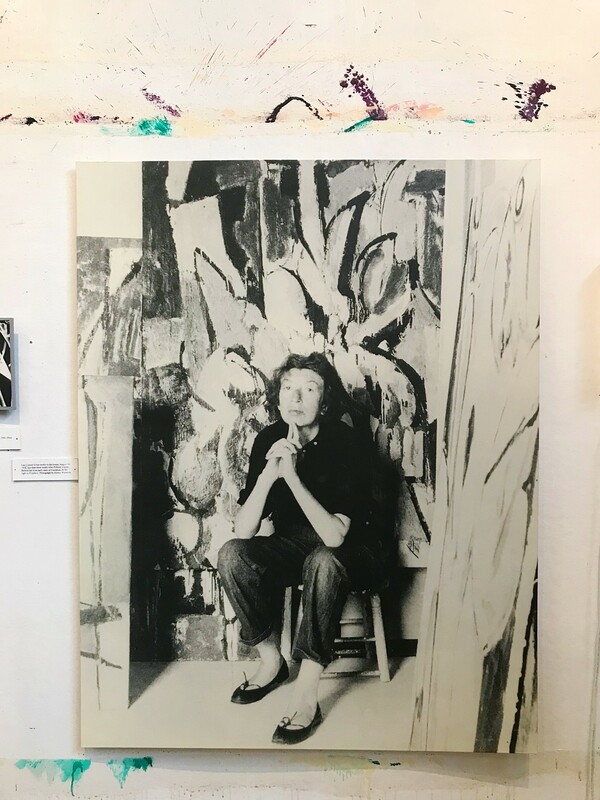 The walls of the studio have paint on them too, but that’s not from Pollock, rather from his wife Lee Krasner. 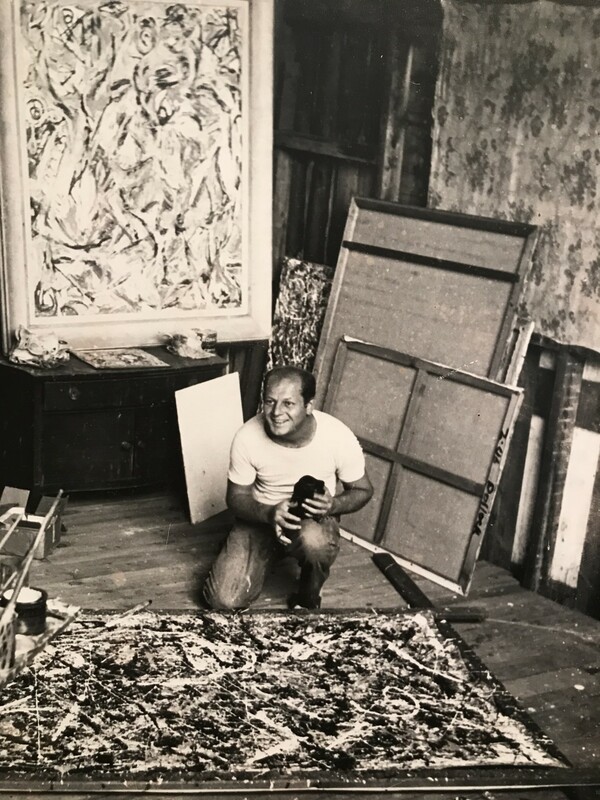 In 1956, Pollock was drinking heavily again and having an affair with a young woman named Ruth Kligman. When he refused to break it off, Krasner went to Europe to think things over. 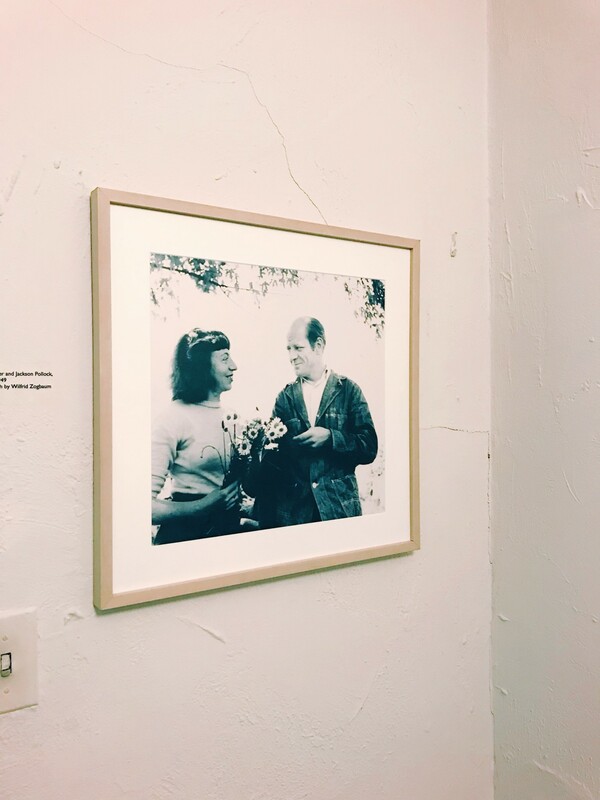 One night, Pollock was out with Kligman and her friend Edith Metzger. They got into a car accident that killed Pollock and Metzger instantly. Krasner, heartbroken, returned to the house in Springs. 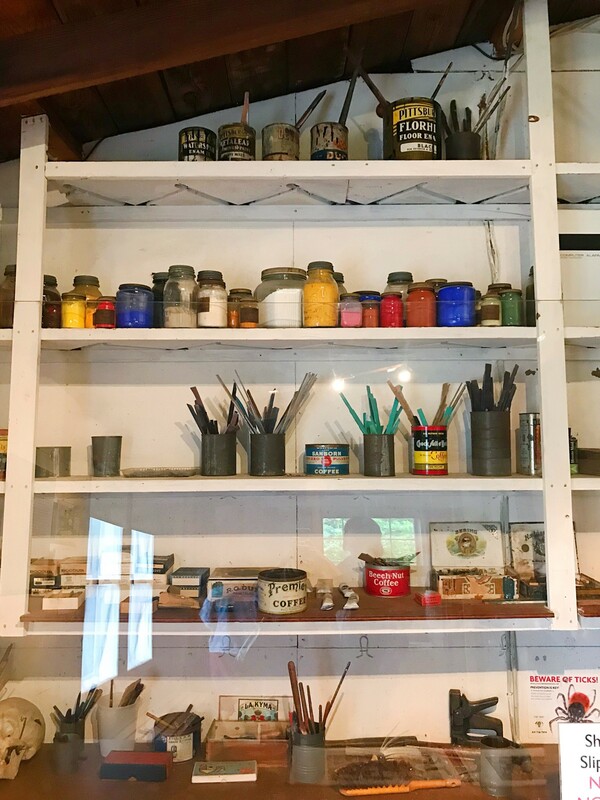 Eventually she took over the barn studio and painted there for herself until her death in 1984. 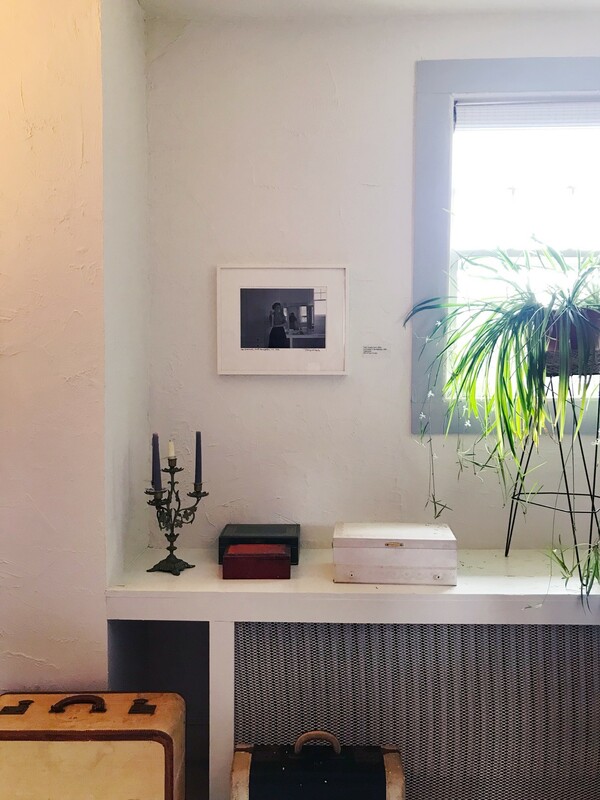 We left with a couple of souvenirs — a Lee Krasner print from a show that was exhibited not far from our cottage in Springs, and for $5, a small offshoot of Krasner’s spider plant to add to our growing houseplant collection. And we left with a deeper understanding of two celebrated artists who, had we been born a couple of generations prior, would’ve been our neighbors. It’s funny how you can drive by a place many times but yet not take the opportunity to go in. 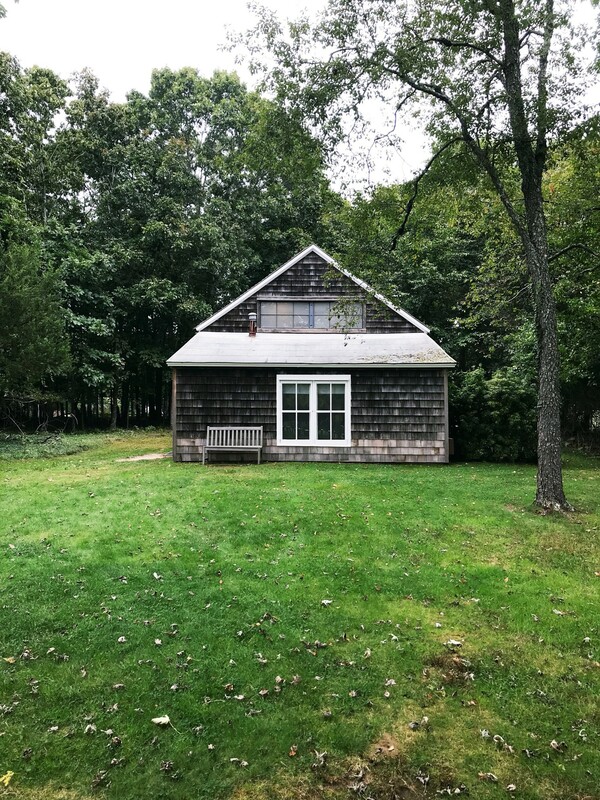 We’ve lived near the Pollock-Krasner House for more than a year, until finally Albert went online and made a reservation. What joyful spots in your neighborhood have you been passing by, yet not visited yet? What local joy field trips are you planning this fall?